Body Cam gives viewers their own eyewitness look at the life-or-death instant decisions of policework, as told by officers' own body camera footage. 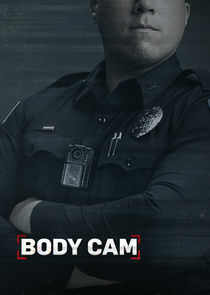 Offering an immersive portrayal of life on the streets, Body Cam engages a unique storytelling technique combining the body camera footage with first-hand accounts to virtually place viewers in harrowing moments as the suspense builds and the tension rises. Each episode tells multiple stories of those who vowed to protect and serve in unflinching detail, offering viewers their own personal perspective of officers in life-threatening circumstances. From domestic disputes to ambushes and traffic stops gone dangerously awry, Body Cam profiles just how quickly seemingly routine situations can escalate into tragic altercations.